2. Functional: this case can fit your phone well and make a big difference on protecting your Samsung Galaxy A7(2016) / A710 from water, slip, scratch, oil, dust and so on. 4. Portable: it is unnecessary for you to take it off once your Samsung Galaxy A7(2016) / A710 puts it on because it is quite thin and light. 6. Cost-effective: a very suitable price have been set for the case, it is an affordable product. 7. 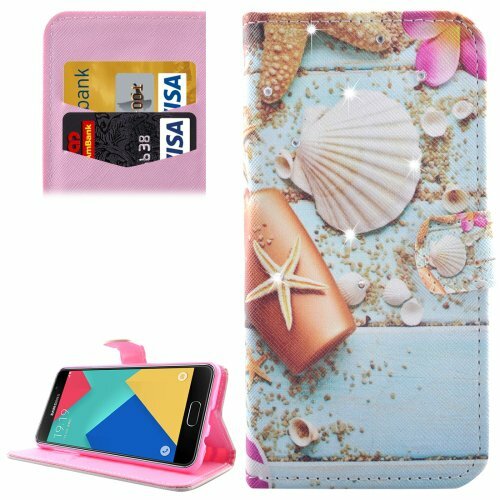 Fashionable: owing to the artful design, such as the different patterns, wallet,card slots and holder design, the case is very stylish and popular.